The evolution of business intelligence solutions means what is working now and what may need refining tomorrow. All the latest trends emphasize priorities that could help take your organization to the next level. In present times, the commonly used functionalities in business intelligence such as visualization and reporting are integrated by different tools. 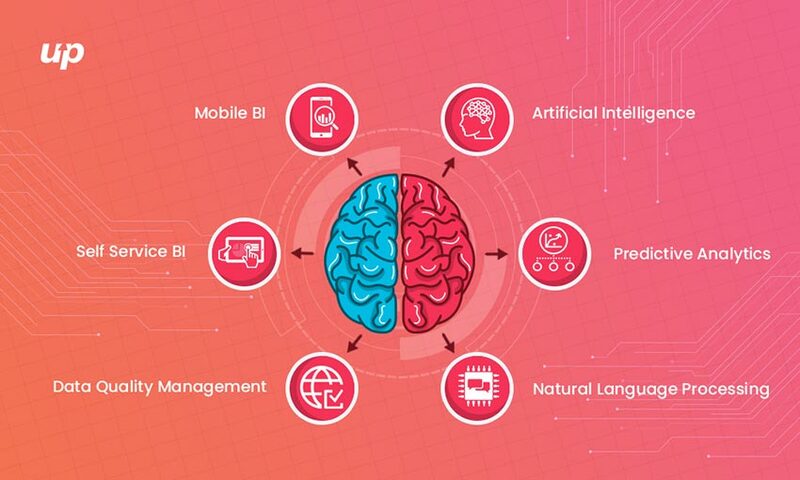 No one denies the fact that business intelligence tools are smarter and easier to use and because of this reason, users are able to perform business intelligence tasks themselves rather than depending on the IT department. In other words, we can say that data, analytics, big data, data analytics, and everything related to analytics as well as business intelligence, are going to be topics of prime focus and importance for companies in 2018. 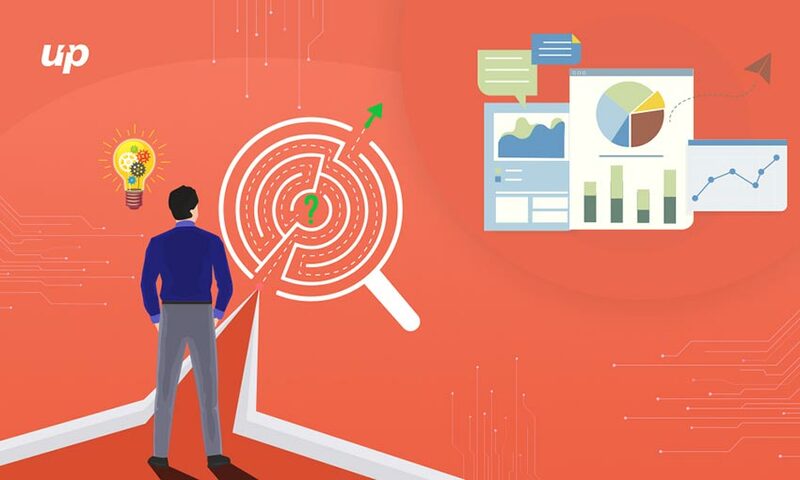 The benefits of business tools are huge and they help businesses to gain valuable insights to affect growth, resolve urgent concerns, collate marketing data more quickly, provide a real-time view of the organization and allow for the anticipation of future outcome using predictive analytics and forecasting. The demand for real-time data analysis tools is increasing in the present era of digital technology. The arrival of the IoT (Internet of Things) is also bringing an uncountable amount of data that not only promote the statistical analysis but also support the management at the top of the priorities list. Nowadays, businesses mostly focus on predictive analytics to monitor various things. Predictive analytics is the process of extracting information from existing data sets in order to forecast future probabilities that are useful for our business. It’s an extension of data mining which refers only to past data. Predictive analytics includes estimated future data and therefore always includes the possibility of errors from its definition. These analytics tools also help to indicate what might happen in the future with an acceptable level of reliability as well as risk assessment. Predictive analytics is used to analyze current data and historical facts in understand customers, products, and partners. Beside this, it also helps to identify potential risks and opportunities for Android Application Development Companies. Natural language processing is a branch of artificial intelligence that is related to the understanding of human language by a computer program. It is based on deep learning, a type of Artificial Intelligence that properly works with pattern recognition to enhance the program understanding by deeply analyzing a large amount of data to search the correlations that are relevant. This technology mainly focuses on human-computer relationship and this is also changing our society drastically. This analytic trend in data quality grew quality in the last year. In present times, there are various companies who understand the importance of data quality on analysis and decision-making. Because of this reason, you have to implement Data Quality Management or techniques. The consequences of bad data quality are innumerable from the accuracy of understanding customers to make the perfect business decisions. Data quality management consists of acquiring data, implementing advanced data process and managing overside data. Data Quality Management is not just related to BI trends, but it is a crucial practice to adopt by enterprises for the sake of initial investments. There is no doubt in saying that self-service BI is an important trend. This is because when a staff member uses the BI solution to analyze live business data you don't need to ask anything from IT specialists or app developers. According to the latest research, various decision makers, as well as business users, are using self-service BI solutions to make better-informed decisions. In the present era of digital technology, the resolution requires access to making business decisions so that they can make critical choices from anywhere and at any time. This process creates the impact on BI increased accessibility on mobile and also improves the ability of smartphones to allow more detailed information. In other words, this has invariably led to the rise of mobile business intelligence. The mobile app development companies that are using mobile UI are growing significantly year by year. In this cutthroat business environment, companies that are using mobile UI are growing in a fast way. If you want to stay ahead of this competition then use data-driven decision making. In present times, all kinds of businesses want to invest in BI to gain a competitive advantage because BI turns data into useful information. Beside this, BI systems also allow for comprehensive analysis of data so that you can easily identify the important trends that can be used to implement strategic plans as well as facets of your businesses. There is no doubt in saying that BI improves the visibility of core business components. BI makes it easy to search component part of your business. Consequently, you can identify those components that need improvement and make changes. BI allows you to understand how you can allocate business to fulfill your stated goals. In this way, you can increase your ROI by ensuring that resources are deployed strategically. This also proves helpful to achieve your goals as well as help you to prevent “mission creep”. BI is also helpful in increasing the understanding of customer behavior. This also allows you to track regional, global and local consumption patterns so that you can better understand current trends. BI makes the process of analyzing and interpreting data faster as well as gives you the power to understand data business quickly. All this provide you and your employees more time to devote to run your business rather than analyzing it. The latest business intelligence tools are giving enterprises a new way to engage with new users, reports, and embedded analytics. There are various BI techniques that are trending and making it easier as well as more cost-effective for organizations to generate insight from disparate data sources.